The Muslim Student Association at Fresno State hosted a “Hijab Challenge” on Wednesday and Thursday in order to help non-Muslim students experience what it is like to wear a head scarf and be viewed as a Muslim. Breitbart News has compiled a list of criminal incidents across the nation from the month of September, 2016, all of which relate to the United States’ immigration crisis. 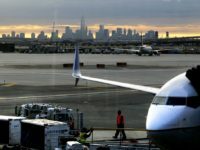 The two men caught on surveillance camera footage swiping a suitcase dropped by accused New York/New Jersey bomber Ahmad Khan Rahami have been identified as employees of an Egyptian airline by the FBI. 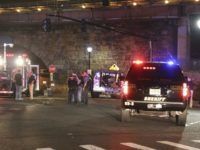 On Monday, an attorney with the New Jersey chapter of the American Civil Liberties Union (ACLU) stepped in to represent Ahmad Khan Rahami, the man captured in a shootout with police after allegedly setting a series of bombs in New Jersey and New York. The Islamic State (ISIS/ISIL)-linked Cyber Kahilafah posted tutorials on the encrypted messaging app Telegram on using pressure cookers to create deadly bombs and modifying cell phones and Bluetooth devices to use as timers to detonate remotely, according to the Middle East Media Research Institute (MEMRI) Jihad and Terrorism Threat Monitor (JTTM). “I used to think we were all immigrants, all the same people who came here for a better life. 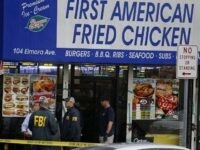 Now I’m not so sure,” a Colombian-American neighbor of First American Fried Chicken, the business linked to Afghan-American suspected terrorist Ahmad Khan Rahami, told the Los Angeles Times. 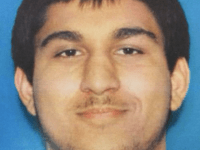 Rep. Michael McCaul (R-TX), chair of the House Committee on Homeland Security, told Fox News’ Mario Bartiromo on Sunday morning that “there’s a good chance” Friday’s mass shooting at mall in Washington could be” Islamic terrorism. 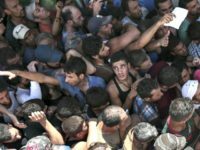 The Breitbart/Gravis Marketing poll released on Friday shows Hillary Clinton leading Donald Trump in the presidential election by a 44 percent to 40 percent margin, but her support for increasing the number of refugees arriving in the United States is opposed by a majority of voters and many of her own supporters as well. 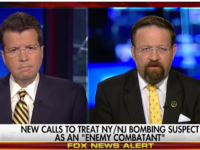 Breitbart News National Security Editor Dr. Sebastian Gorka, author of the best-selling book Defeating Jihad: The Winnable War, addressed the idea of treating Chelsea bomber Ahmad Khan Rahami as an enemy combatant, rather than a criminal, in a Fox News appearance. 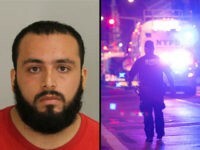 NYPD Deputy Commissioner for Intelligence and Counterterrorism John Miller said Wednesday he did not believe it was possible for authorities to have caught terrorist Ahmad Khan Rahami, despite his father reporting him to the FBI in 2014, because insufficient evidence existed against him. He added that it is “not realistic” for the FBI to monitor such cases for extensive periods of time. More information continues to surface about Ahmad Khan Rahami, the jihadi who set bombs in New York and New Jersey over the weekend. It appears, contrary to reports from earlier this week, that the U.S. government wasn’t entirely unaware that he was traveling to Pakistan and Afghanistan. 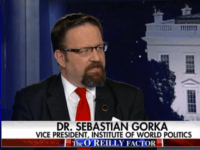 During a Tuesday night appearance on Fox News’ “The O’Reilly Factor,” Breitbart News National Security Editor Dr. Sebastian Gorka, author of the best-selling book Defeating Jihad: The Winnable War, joined human-rights attorney and former State Department official David Tafuri to discuss the Chelsea bombing. Even after the dumbest mammal in North America, New York Mayor Bill de Blasio, had admitted it was a bomb, journalists were indignant that Trump had called a bomb a “bomb” before they said so. 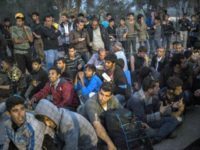 Center for Security Policy president, Frank Gaffney, talked about the latest terrorism developments on Tuesday’s Breitbart News Daily with SiriusXM host Alex Marlow. “I’ve brought in my legal team from the county, and we’re about to sue them [the federal government] to get an injunction to stop them from relocating more people into this community until the rules are adhered to,” Patterson told Beckmann. 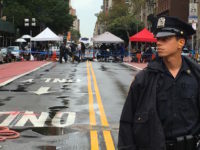 NEW YORK — Saturday’s terrorist bombing in New York’s Chelsea neighborhood has ignited the discourse surrounding Republican presidential nominee Donald Trump’s suggestion to temporarily ban immigrants coming into America from Muslim countries. The father of the suspect in the weekend bombings in New York and New Jersey is from the southern Afghan province of Kandahar, a known stronghold of the Taliban and its ally al Qaeda, and like Osama bin Laden was part of the Afghan mujahedeen who fought the Soviet Army, reports The New York Times (NYT). 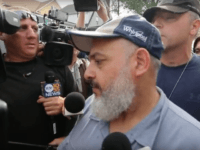 Ahmad Khan Rahami’s father Mohammad says that he reported his son to the FBI years ago. 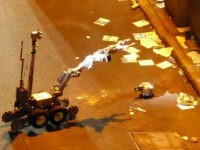 Disputing earlier reports that a terrorist note of some kind was found with one of New Jersey/New York bomber Ahmad Khan Rahami’s unexploded devices, CNN on Tuesday quoted a law-enforcement official who said these “ramblings” are from a notebook found upon his person. 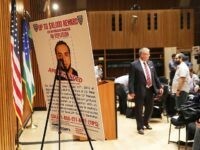 According to a report at the Daily Beast, Ahmad Khan Rahami, accused perpetrator of the weekend terrorist bombings in New York and New Jersey, traveled to Pakistan and Afghanistan several times without the U.S. government becoming aware of his activities. News also broke on Tuesday morning that Rahami’s wife left the United States a few days before he launched his attack. 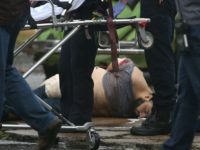 NEW YORK – “It was a blast from the past,” Felicia Dunham, 40, told Breitbart News of Saturday’s bombing in New York that left 29 people injured. Captured New York City and New Jersey bombing suspect Ahmad Khan Rahami was “not on a U.S. terror watch list” nor a list maintained by the NYPD. 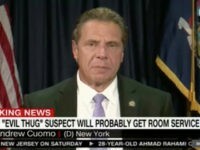 Monday on CNN’s “Situation Room,” while reacting to Republican presidential nominee Donald Trump saying today that the suspected bomber in New York and New Jersey Ahmad Khan Rahami should not be given hospitalization and legal counsel while in custody, Gov. 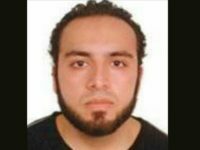 Authorities have taken into custody a 28-year-old U.S. citizen of Afghan descent, Ahmad Khan Rahami, who has been linked to planting two pressure cooker bombs in New York City on Saturday that wounded 29 people and suspected of placing several other similar explosive devices throughout New Jersey as part of a bombing spree. 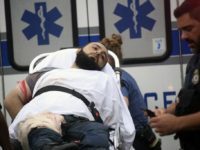 WABC-TV footage showed a man believed to be 28-year-old Ahmad Khan Rahami being loaded into an ambulance on a stretcher in Linden, New Jersey. 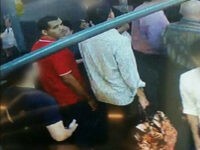 He appeared to be conscious and looking around. Following an explosion at the New Jersey transit train station in Elizabeth, Mayor Chris Bollwage announced that police were searching an apartment in the city for potential leads. 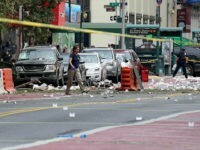 The explosion in Elizabeth occurred hours after similar explosives detonated in the Chelsea neighborhood of Manhattan and Seaside Park, NJ.